The myth of Perseus. 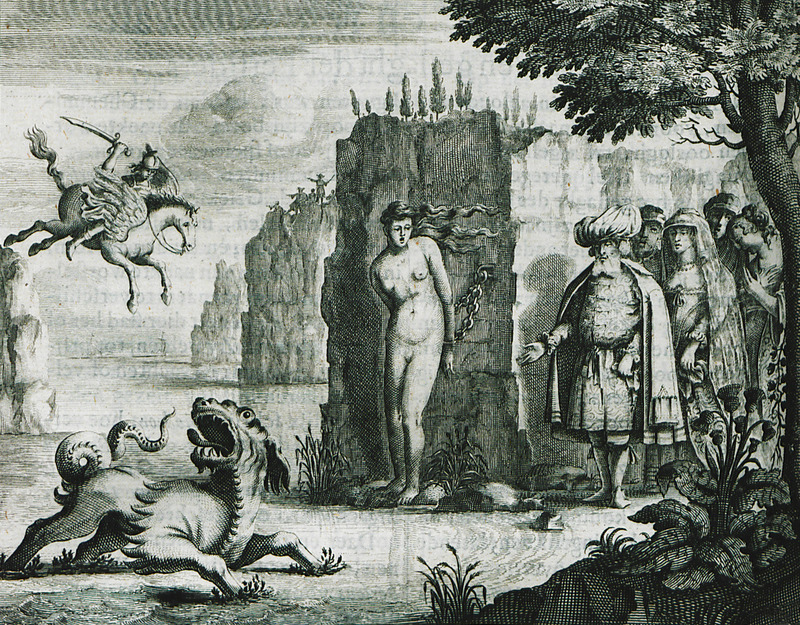 In Ethiopia, Perseus is saving Andromeda from the sea monster Kitos. On the right, Andromeda's parents, and their guards. The myth has certain references to Peloponnese, for Perseus was originally from Argos and he founded the city of Mycenae.